The McFarlane’s Monsters line returns with the first new release since 2007! The classic line originally featured new takes on classic monsters, fairy tales characters, assorted creatures, and more. 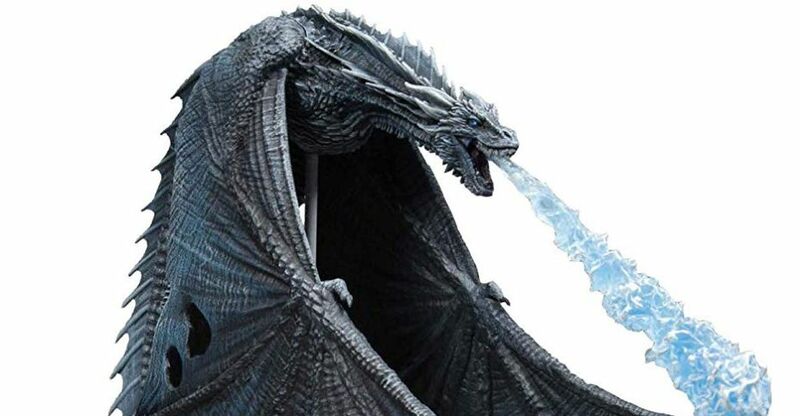 For their first mondern release, they turn to their new Game of Thrones license to unleash an Ice Dragon version of Viserion as a Deluxe Figure. 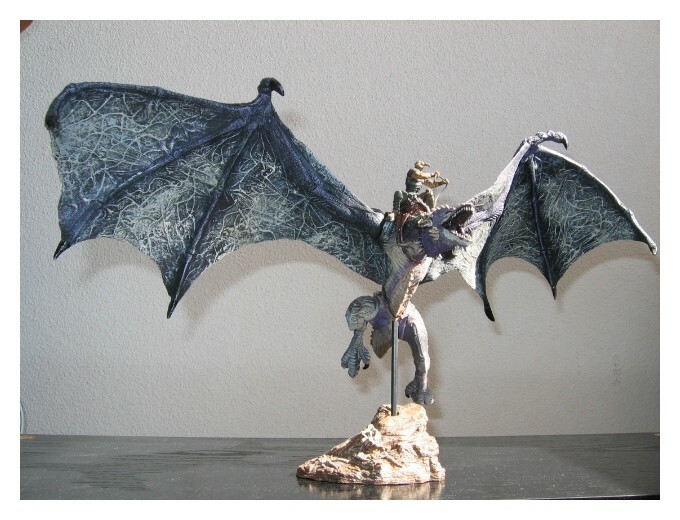 The dragon will stand about 9″ tall on it’s stand, with a wingspan of over 16.5″. 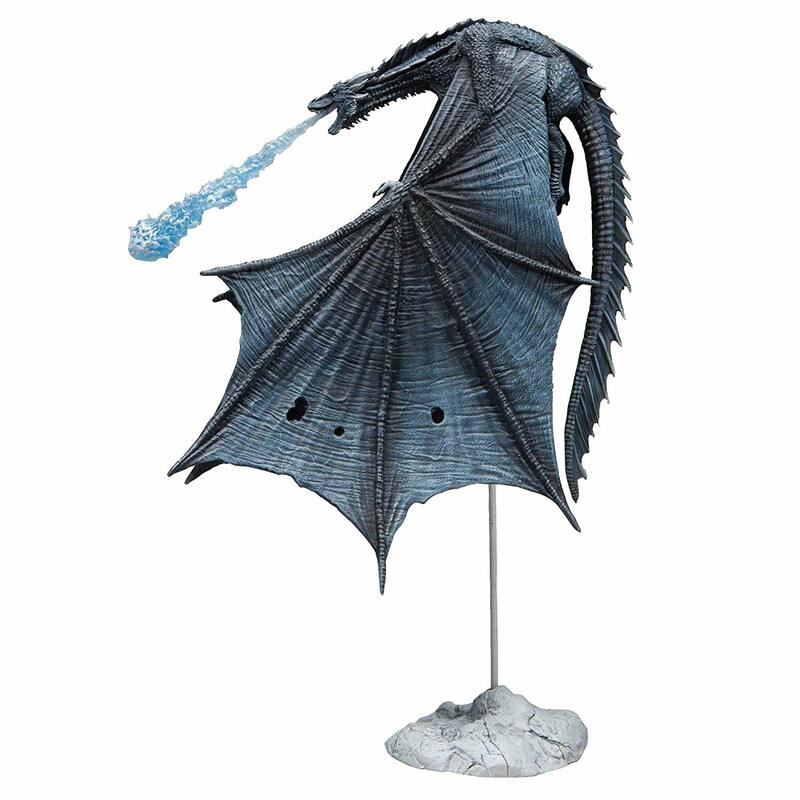 Viserion will include a removable blue flame, and 10 points of articulation including the legs, wings, tail and neck. 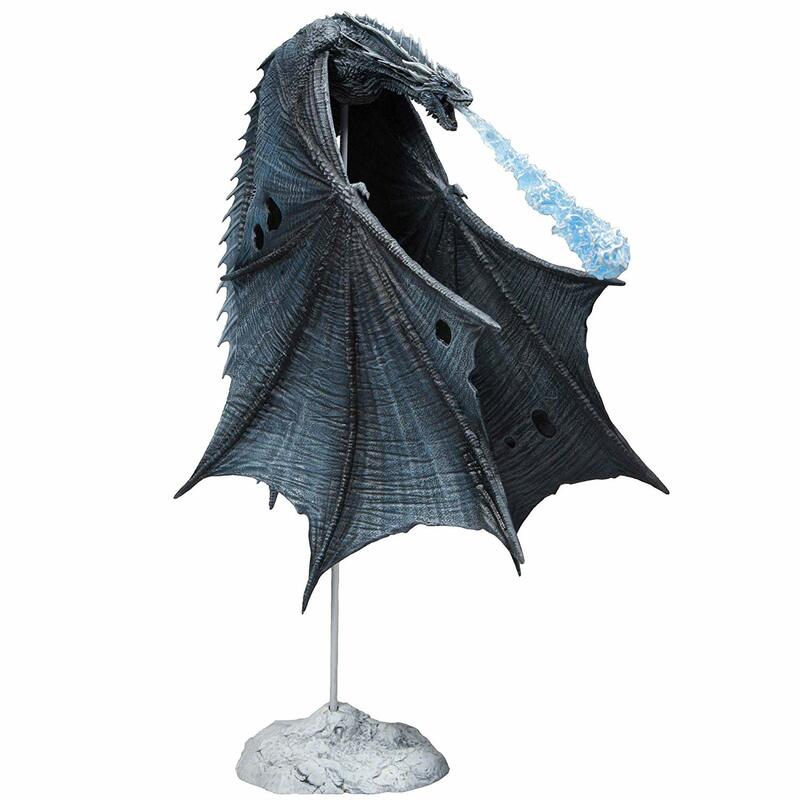 McFarlane Toys is proud to announce the lead-off figure to the much anticipated return of McFarlane Monsters, Viserion. 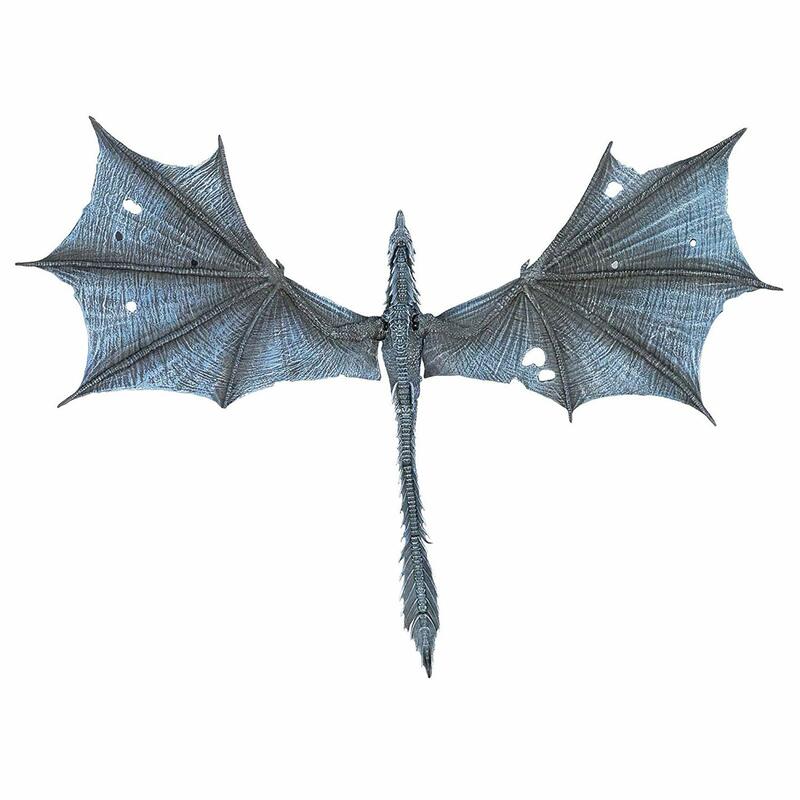 Along with his brothers Drogon and Rhaegal, Viserion was raised since birth by Daenerys Targaryen, however, after being fatally wounded, and then resurrected, Viserion has now fallen under the command of his new master, the Night King. 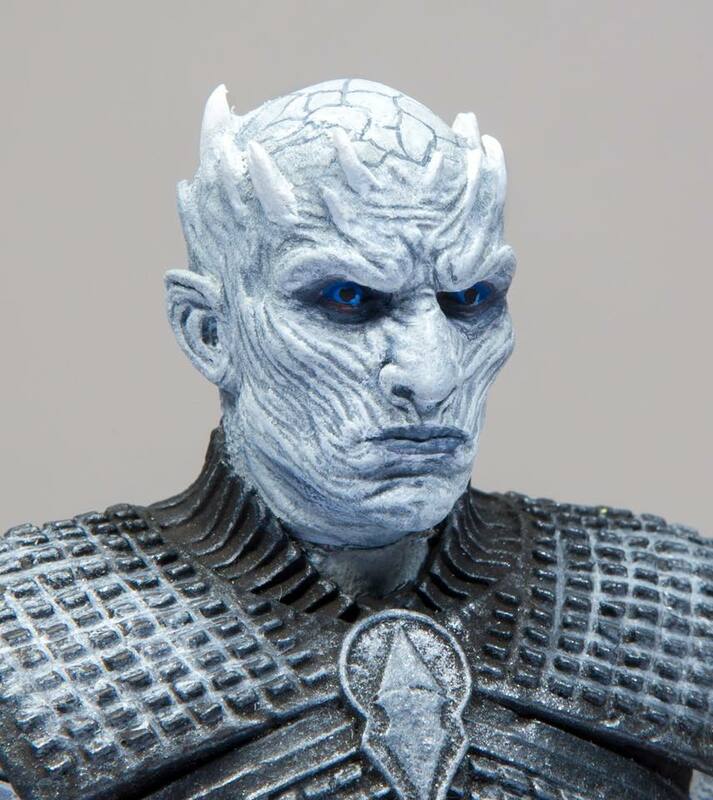 Under the Night King, Viserion would blast away the Wall in Eastside with his now blue flame, allowing the Army of the Dead to enter the Seven Kingdoms. McFarlane Monsters aims to give fans of creatures, monsters, and fiends exactly what they’ve been wishing for. 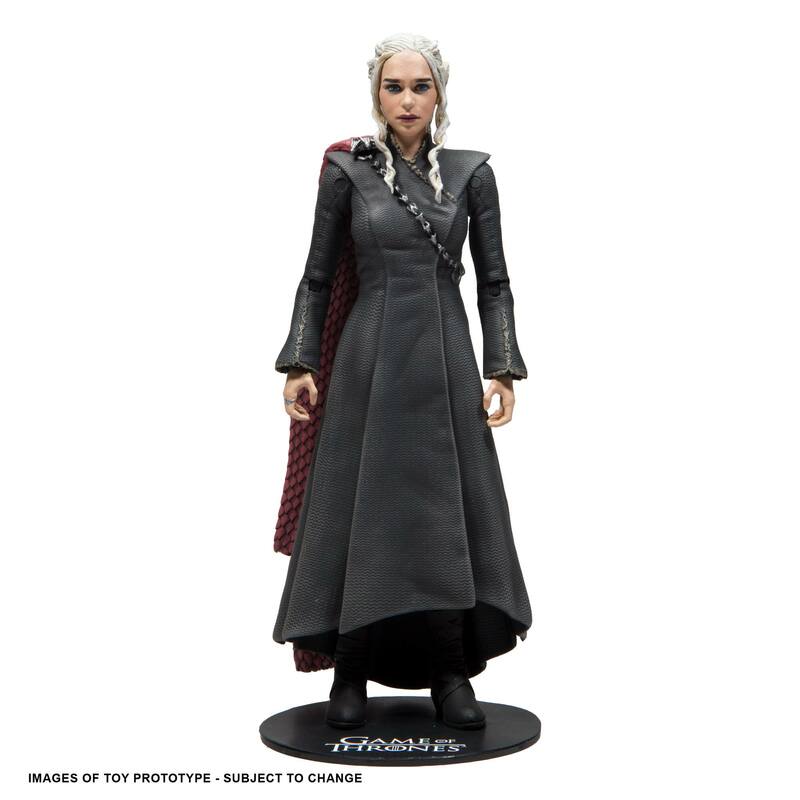 Pre-orders have been opened via Entertainment Earth ($24.99), Big Bad Toy Store ($26.99), and Amazon ($25.99). It’s due for release between April and May of 2019. See a few photos after the jump.